[info] You are almost done! 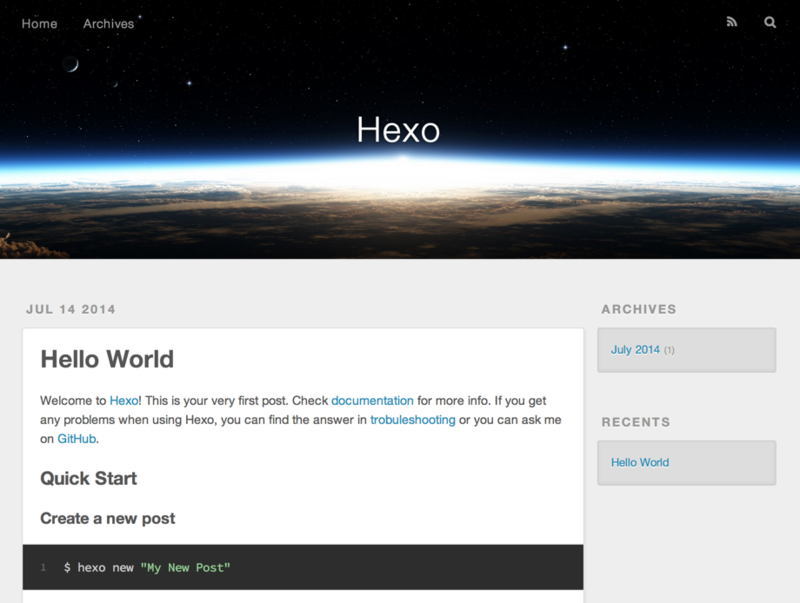 Don't forget to run `npm install` before start blogging with Hexo! 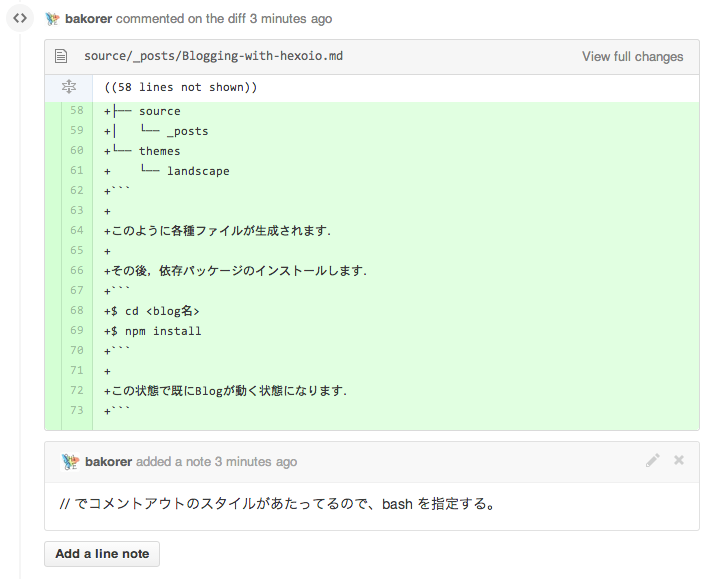 $ git checkout -b "write-blog-with-hexo"
$ hexo new "<Article Title>"
$ git commit -m "Hexoを使って技術ブログ書く方法の記事"
- git config --global user.name "Circle CI"
- git config --global user.email "<your mailaddress>"